The official Day 1 of the 2012 San Diego Comic Con has drawn to a close (Day 0 | TF Schedule). 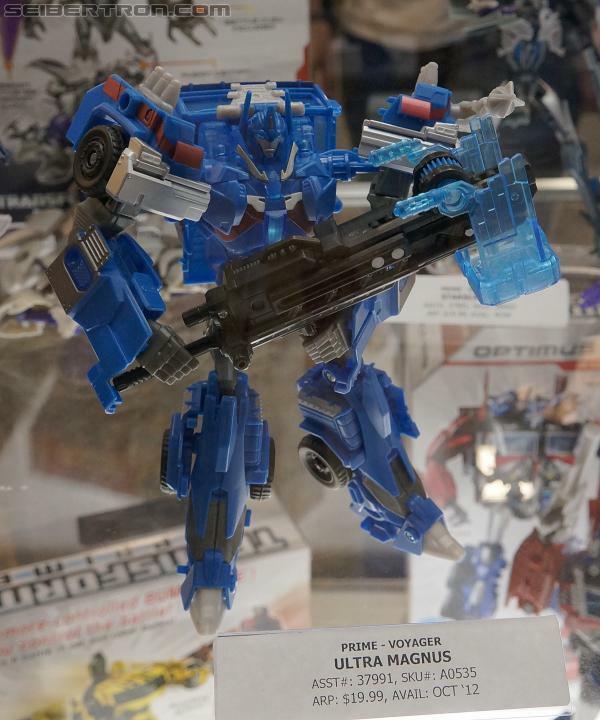 This is probably the busiest day for Transformers fans as Hasbro and IDW held their panels to talk about their latest products while High Moon Studios was busy showing off multi-player mode for War for Cybertron. As a result, this post is very long. 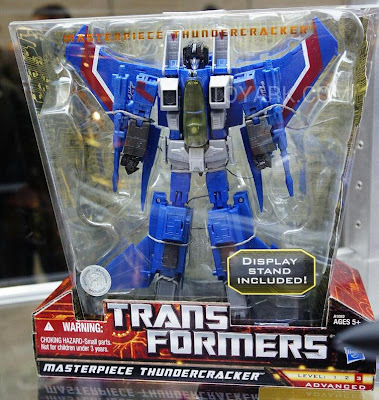 For me the main highlights was the FoC Grimlock toy and learning that Masterpiece Thundercracker is based on the new (better) Starscream mold. Pretty much a link = gallery of images about that particular subject. Let us know what you think of all the new stuff revealed. - BigBadToyStore.com exclusives, repaints of RID toys with new packaging, logos, and translucent parts. - Official stateside release, had been pulled in favor of newer and smaller RID molds - Entertainment Pack with Optimus Prime, Megatron and DVD episode of TF Prime. - For 2012, releasing wave of China imported toys with Chinese/English packaging as Toys R Us exclusives. All are repaints of previousily released molds but with tweaks to head and weapon accessories. 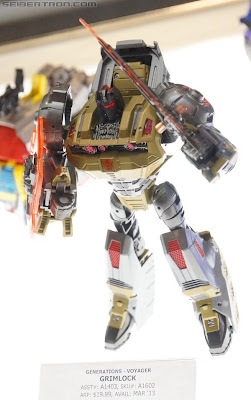 - G2 Bruticus with G2 paint scheme and "Forensic Packaging Design" that closely mimics the G2 release in the early 90s. - Lots of new Kreons, no play sets displayed. - Transformers Universe MMO in Beta, targeting 2013 release date. - Linkin Park Soundwave: Re-release of the 2010 SDCC Soundwave with four cassettes, all of them in gold color scheme with new packaging and certificate of authenticity. Limited to 2000. No indication of cost or where available. - For Regeneration One, Grimlock returns to Nebulon, planet where the Headmaster, Targetmaster and Powermaster technology was created. - Fall of Cybertron prequel mini-series of eight bi-weekly issues, digital only, starting August 12th. Assume 99 cents, 13ish page issues like Autocracy was. 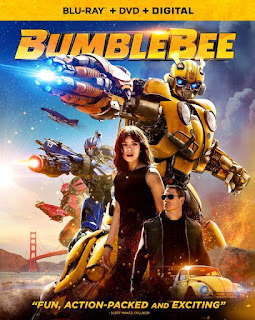 - Transformers: Prime - Rage of the Dinobots four part miniseries that acts as a prequel of sorts to season 3 of Transformers: Prime with them left behind enemy lines on abandoned & dead Cybertron. 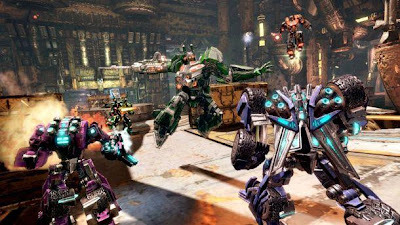 Will follow show continuity and factor in War for Cybertron, Fall of Cybertron, Exiles and Exodus continuity. - Would not confirm if this means Dinobots will be in season 3 of cartoon. - High Moon had a booth that let try out FoC along with concept art and the like on display. - No new information revealed about the game, the focus was on campaign and multiplayer demos that let people play a few minutes of each mode. 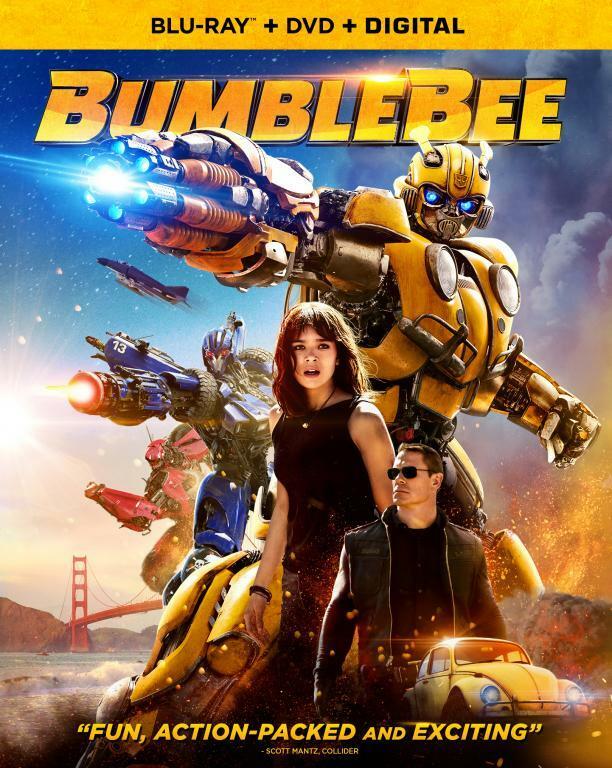 - Campaign demo was portion of Bumblebee, Starscream and Grimlock missions. At the links are good size galleries that show off the many booths on the exhibit floor of SDCC. Highlights include Weta's Cave Trolls from the Hobbit, Iron Man suits, Superman suit and bunch more.